No longer must you suffer with chronic or acute pain! 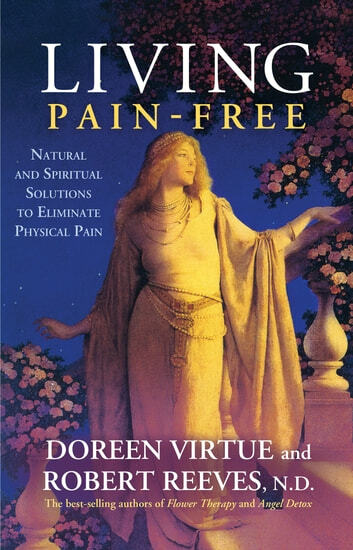 In this book, Doreen Virtue and Robert Reeves (a successful Australian naturopath) explain how you can reduce or eliminate physical discomfort with their unique blend of natural and spiritual healing methods. You’ll understand the origin of, and reasons for, your pain; and, rather than just covering up symptoms, you’ll be guided in building a foundation of true wellness. Living Pain-Free contains detailed guidelines for healing, taking you through the research and offering recommendations for nutrition, exercise, and physical and energetic therapeutic methods. Learn which modalities may be best for you, and how to get well without the need for harsh chemical drugs or surgery. You’ll also be inspired by stories shared by readers and clients who were able to relieve their pain with the help of the angels. Don’t allow pain to hold you back any longer. Underneath your suffering is a perfectly comfortable, healthy body. Within these pages you will find out how to ease pain naturally so you can reveal it. Get ready to enjoy life again!